If anyone is looking for an open source job at a great company, make sure you check out the available jobs at Canonical. There are 34 open at the time of writing. I found about my job on Planet GNOME a year ago and I'm glad I did! GCalctool now has a new help document in Mallard format. This is my second Mallard document I've written, the first was the help for Simple Scan. Wow. Mallard is really, really easy to use! Mallard documents are topic based which basically means writing a few paragraphs on each activity your readers can do with your application (like how to use trigonometric functions or an automatic document feeder). I wrote the topics over a week with a text editor and marked them up at the end. Testing is great. Just run yelp with the directory the files are in to browse the documents immediately. If you want to contribute, take the ten minute tour, pick your favourite GNOME application, ask if they've got documentation that needs updating and get writing! (I recommend starting by copying an existing document; I used the gbrainy help as a basis for the Simple Scan and GCalctool help). So, if you got here via a Google ad. leave a comment! *Free if you include having to spend $20 to set up the account. Try it out from their PPA! 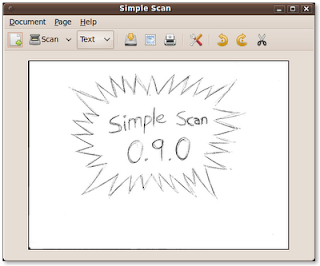 If you haven't tried it, it comes by default in Ubuntu 10.04 (Lucid), you can enable the PPA in Ubuntu 9.10 (Karmic) by going to System>Administration>Software Sources>Other Software>Add and adding ppa:robert-ancell/simple-scan then installing the simple-scan package. 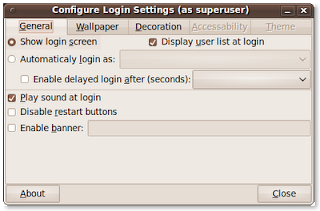 Any other GNOME system should be able to build it from source. From now to 1.0 I wont be adding any new features, just fixing bugs and polishing. Post 1.0 the major features I'm most interested in are colour management, optical character recognition, integration with gscan/gnomescan, integration with photo management software and storing density information in saved files. Here is a summary of the interesting things I saw at Linux.conf.au 2010. Weta Digital (i.e. the New Zealand graphics company behind Lord of the Rings, Avatar) about their 35,000 core server farm all running Ubuntu! And if you want to do some rendering with the old server farm Green Button bought it any you can render directly from Blender at 1c US per CPU minute. Albany Senior High School is a New Zealand school who have successfully implemented an entirely open-source infrastructure running Ubuntu Desktop and Mandriva servers. The Village Telco project showed off their Linux based VoIP mesh network solution for small villages. There seemed to be a rocketry/Linux theme going on. The White Label Space project talked about their ambitious space program funded by advertising and the TeleMetrum project talked about using Linux and open hardware to make telemetry for amateur rocketry. Jeremy Allison from Samba talked about the elephant in the room (Microsoft) and how we shouldn't forget their threats against open-source, especially in the light of the recent Tom-Tom patent lawsuit. However he also said that the best thing to do was keep making better software as not doing that is the more likely reason for us to fail. Benjamin Mako-Hill talked about Antifeatures - in where he described how proprietary software often comes with features you don't want (e.g. digital rights management) and how you often have to pay to remove these features (for example paying extra money to Sony to get a computer without crapware). I sat in on some government and open-source talks and the short answer seemed to be "policy was good but not seeing major uptake". Python 3.0 looks really well managed. There are a number of tools now available to transition from Python 2.0 to Python 3.0 and even tools to produce Python 2.0 compatible applications from a Python 3.0 codebase. The improvements by Google in Unladen Swallow are planned to be integrated into the official Python 3.0. There will be no syntax changes until Python 3.3 (a duration of two years) which will encourage Python 3.0 uptake. The PyPy project talked about what they do. I thought they were a Python interpreter implemented in Python but in fact they are Python interpreter generator. That can generate different types of interpreters (e.g. stackless)... For different targets (e.g. C code, .NET, Java bytecode)... for different dynamic languages (e.g. Perl). So a really interesting technology. They see themselves as more of a research project at the current time. In graphics the Cairo project talked about accelerating 2D on the GPU. The Clutter project mentioned their release cycle is now synchronised with GNOME/Moblin. The pandora-build project talked about how they'd made autotools easier to use. A quick survey of the audience showed everyone uses autotools but no-one understands it. By using pandora-build you can write less autotool magic (pandora sets up sane defaults and provides simple macros for common things) and are have a more portable build system (pandora handles multiple versions of autotools). Lucas Nussbaum talked about the Debian QA team and tools (e.g. Ultimate Debian Database, debcheck, piuparts, lintian, DEHS, bapase, MIA team) they have produced to keep track of what is going on in Debian. He also talked about the relationship between Debian and Ubuntu which seems to be in reasonable state. There was some concern that Ubuntu did not provide many resources to help Debian and that Debian did not want to become Ubuntu's "package supermarket". The vcs-pkg project showed their aims in making moving patches between distributions easier. The Launchpad developers talked about how they are improving integration with external bug trackers and translations. And finally; When the videos are available I highly recommend watching Glyn Moody's keynote talk. He talked about how open-source has influence other revolutions of sharing that have occurred in the last 30 years. He skilfully shows how FOSS is more than just about software.